Expediciones Chile has teamed up with PowderQuest Tours to bring you some of the best skiing in Chile and Argentina. We believe PowderQuest offers the finest ski tours in South America. Their guides have an unsurpassed reputation for safety and guest satisfaction. 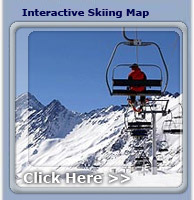 PowderQuest is an Associate Member of the Canadian Avalanche Association. All PowderQuest ski guides speak Spanish and English, and some speak German and French. They are all experts at skiing/boarding, and have a superb knowledge of the Southern Andes Mountains. Their safety background is outstanding and substantial. All are certified or educated by the American Mountain Guide Association(AMGA), Association of Canadian Mountain Guides (ACMG), the Canadian Avalanche Association, and/or the American Avalanche Institute. They hail from various backgrounds employed in mountaineering, tourism, ski patrolling, guiding, and ski/snowboard schools, and have spent at least several years living in Chile and Argentina and chasing South American powder. Safety conscious, extensive ski touring experience, avalanche assessment & forecasting, knowledge of the cultures & languages, professionalism, and, local ski knowledge sets the PowderQuest ski guides apart in the field of adventure snow travel in the Andes. 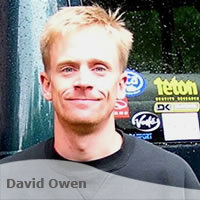 David is the owner and founder of PowderQuest. From the first day he stepped into a pair of skis back in 1976, he was hooked. The mountains and volcanoes of Colorado, Wyoming, Canada, Alaska, and Chile and Argentina have been his main focus. In 1994, David's wanderlust began, and before he knew it, he had explored, surfed, and snowboarded fifteen Latin American Countries. After landing in South America’s outdoor adventure mecca, Pucon, Chile, he built an adventure tourism company, learned the Spanish language, and established residence in this mystical country. 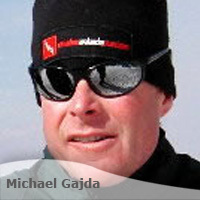 Mike Gajda has been involved with backcountry skiing since the mid 1980's and has been employed as a heli-ski guide and ski patroller in the Whistler, British Columbia area since 1994. For the last five North American Winters Mike has consulted as a avalanche forecaster for independent power projects near his home town of Pemberton, BC and continues to guide for the local Guides' bureaus throughout the region. Mike's depth of experience comes from far reaching trips to mountains around the world ranging from ski tours in the Alps and Andes Mountains to climbing trips in China and South East Asia to a solo ski decent from the peak of Denali in Alaska. Mike joined the PowderQuest team in June of 2003 shortly after a returning from a trip to France to view and report on a new avalanche control system for CSA Snow Safety Consultants. Mike's strengths in customer care and emergency first aid stem from his eight years as professional ski-patroller on busy Blackcomb Mountain in Whistler, and from time with hundreds of clients who he feels priviledged to have guided throughout his career. Mike is a level 2 ski guide with the CSGA, an assistant ski guide with the ACMG, and professsional member of the Canadian Avalanche Association. CSGA Level 2 Ski Guide. Luis has spent the past sixteen years living in the Canadian Rockies, driven by his passion for the outdoors, ski touring, mountaineering, and rock climbing. He has made a career for himself in the mountains, currently working as a heli-ski guide at Last Frontier Heli-skiing. Luis worked six years in avalanche control and five years with Lake Louise ski patrol. 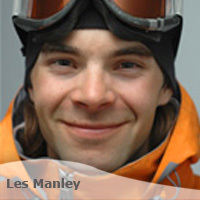 He also teaches recreational avalanche courses for the outdoor program center at University of Calgary and Skiing Lake Louise . 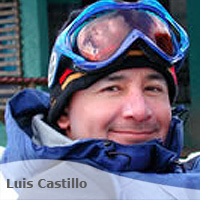 Luis is a Certified Assistant Ski Guide with the Association of Canadian Mountain Guides. Others certifications include; Canadian Avalanche Ski Operations Level 2, and a Professional member of Canadian Avalanche Association. His extensive travel resume includes Canada, United States, Europe, Australia, South Africa, Mexico, Peru, Brasil, and Thailand. While guiding for PowderQuest, Chile and Argentina have become a major part of his life in the mountains. A native of Bariloche, Argentina who lives part-time in Canmore, Alberta, Max decided early to dedicate his professional life to sharing the joys of Patagonia with others. Max graduated from High School in Canada and has since worked in New Hampshire, the Swiss Alps, Alaska, Western Canada and Costa Rica. But Max always comes back to his home in Patagonia, Argentina where he continues to guide European & North American guests. Max is a fully-certified Mountain Guide by the Argentinean Association of Mountain Guides (AAGM), is an active member of the Bariloche Search and Rescue Commission and has completed his training as a Tourism Guide specializing in Patagonia. He has a Level 1 Ski Operations from the Canadian Avalanche Association, a Wilderness First Responder and has more than a decade of experience as a ski instructor. 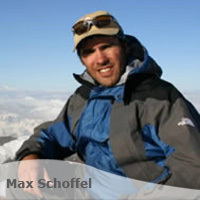 Max speaks German, Spanish and English fluently and is a keen naturalist with a passion for both the human history and the unique culture of his homeland. Owen started skiing at the age of three in the prairies of Canada skiing "the Bump" behind the ammonia plants in Fort Saskatchewan, Alberta. The ammonia finally got to his head and he moved on. For the past six years he has lived and traveled following the ski season from one hemisphere to the other. After working for a discothèque in Campery, Switzerland for two years, he made his first trip to Argentina and Chile in 2000 and broadened his horizons. He has since returned for the last two years to learn the Spanish language, tail-guide for PowderQuest, and ski tour the beautiful Andes Mountains. In Canada, he works for the Canadian Avalanche Association compiling data for InfoEx which provides a "daily report" of avalanche conditions. He enjoys spending his days in the mountains around Revelstoke and Rogers Pass ski touring, and chilling with his girlfriend. 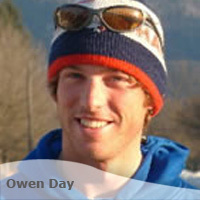 Owen also helps teach Recreational Avalanche courses and helps organize Avalanche Awareness days in Revelstoke. He is currently working towards his ACMG application to become a certified ski guide. 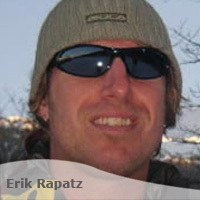 Erik will be back as well this season after having fallen in love with South American skiing. Erik has traveled extensively throughout Latin America, working as a tour leader all through Central America as well as Venezuela, Columbia and Ecuador. Erik is spending this winter season working for Powder Mountain Cat-skiing in Whistler, British Columbia, Canada. He has completed his Level 1 CSGA ski guide course as well as Level 1 CAA training and has spent the last five winters in Whistler part-time ski patroling and contracting out to Spanish & German groups as a interpreter/guide. Les has spent the past several summers guiding and touring in Las Lenas, Argentina. He calls Vancouver, Canada his home, but spends much of the year traveling as a ski professional for Fischer Skis, Scarpa and Black Diamond Equipment. Recent photo shoots have taken him to Europe, where he is currently featured on the cover of Ski Magazine France. His sense of humor, skiing ability and knowledge of the Andes and South America , blends perfectly with PowderQuest. We are excited to have him back on the South America team this year. Ski racing on the iciest snow on the planet on the moisture laden coast of Quebec somehow became the start of Philippe’s ski addiction. It has now been seven years of continuous Winters for him as he follows the snow on it’s migration between the Northern and Southern hemispheres. His "powder quest" began in the humble resort of Fernie, British Columbia where he worked as a ski patroller and ski coach. Economic issues took him back to pursue more scholarly interests at the University of Montreal. That following summer working as a reforestation worker in Northern British Columbia, after a really bad day in the woods Philippe hatched a plan to go mid-Summer skiing. He was determined to find the best place in the world to go skiing - the ski area with the most snow at that precise moment in time. A week later he was in Termas de Chillan a place he has called home for the last six "Summer" ski seasons. 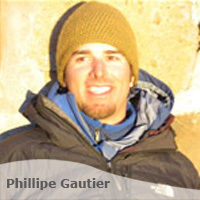 Philippe works the winter season as an avalanche forecaster and educator at the Haute-Gaspésie Avalanche Center and as a mechanized skiing tail guide in British Columbia. 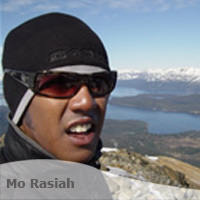 He has also worked as tourism development consultant, a job that has taken him to places as far and remote as a military camp on the isle of Tierra del Fuego, to explore, define, catalogue and mostly enjoy the vast and untracked terrain of the Cordillera Darwin. An Australian, Mo grew up skiing a small resort called Thredbo. Falling in love with skiing during university, the mountains eventually brought him to Whistler, British Columbia where he discovered the bliss of powder skiing. Teaching skiing, avalanche courses, and tail guiding to pay for his travel and skiing expenses, he has ski toured in Australia, Canada, Alaska, Italy, Switzerland, France, Austria, Chile and Argentina. He has gone almost nine years without a summer and is currently working on his application to become a ski guide with the ACMG. After his first season with Powderquest in 2006 he is stoked to be back for another epic ski season in South America.